Home / Old Try / You tell em, Houston Dale Nutt, Jr.
You tell em, Houston Dale Nutt, Jr. 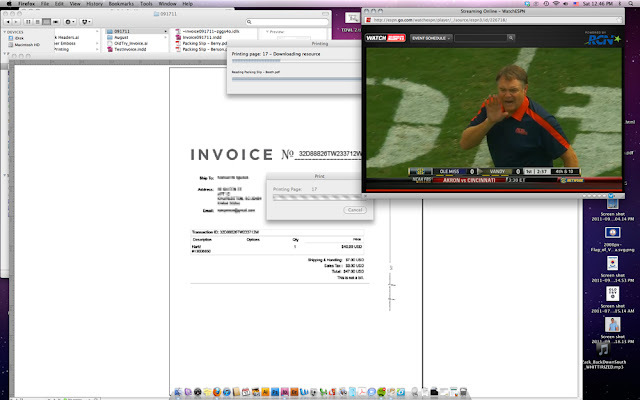 Working on a Saturday is amazing when your game is being broadcast, PIP style, on the desktop. I sure am glad the SEC and ESPN signed a zillion-billion dollar deal to film just about every game and broadcast them on the internet. It's now actually easier to watch the Rebs than it was when we lived in NC. I hope your Saturday is just as right.